The debate over Donald Trump’s offensive Muslim ban has taken some peculiar turns. It’s already resulted in successful lawsuits rejecting his executive order as unconstitutional. And there are heartbreaking cases of heroes being refused entry after fighting alongside American soldiers in Iraq. Even a nominee for an Academy Award will be unable to attend the ceremony due to the restrictions. Before you head to church today, remember to thank God for his son, Jesus a refugee who fled to Egypt. DOOCY: This morning a social media firestorm set off by the Rev. Al Sharpton after he slammed President Trump’s border order by calling Jesus a refugee. […] Well that’s not exactly accurate is it? SHIMKUS: Well, according to the bible it’s really not. And a lot of people on social media had something to say about that. @TheRevAl He paid his taxes unlike you. Different times, no comparison. He also returned to his home. (13) And when they were departed, behold, the angel of the Lord appeareth to Joseph in a dream, saying, Arise, and take the young child and his mother, and flee into Egypt, and be thou there until I bring thee word: for Herod will seek the young child to destroy him. (14) When he arose, he took the young child and his mother by night, and departed into Egypt: (15) And was there until the death of Herod: that it might be fulfilled which was spoken of the Lord by the prophet, saying, Out of Egypt have I called my son. No doubt Kilmeade actually believes there are such certificates. Maybe someone should ask him where he got his gift certificate to host a “news” program. And why is Fox News always making African-Americans provide certificates of authenticity, birth, etc.? Why is anyone surprised? 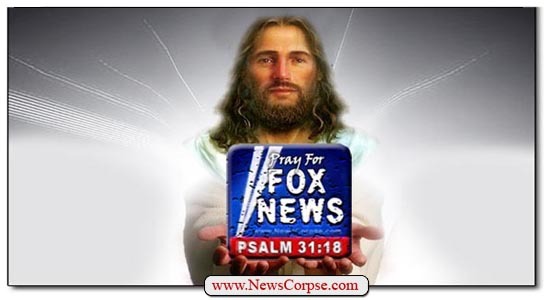 Faux Fox News makes everything up as their talking heads speak. But this is a new low, using the Bible to spread its lies. And lying about it. They are afraid to ask real biblical experts so they resort to Twitter. Fox news is imitating Trump, if they say it then it must be true. Modern Americans are the most gullible people. It’s mind boggling FOX talking heads can’t take 5 minutes and do some research. I am going to copy and paste a quote from your article hoping that with repetition we can get through to their thick skulls and that of their viewers: : ” Matthew(13 ) And when they were departed, behold, the angel of the Lord appeareth to Joseph in a dream, saying, Arise, and take the young child and his mother, and flee into Egypt, and be thou there until I bring thee word: for Herod will seek the young child to destroy him. (14) When he arose, he took the young child and his mother by night, and departed into Egypt: (15) And was there until the death of Herod: that it might be fulfilled which was spoken of the Lord by the prophet, saying, Out of Egypt have I called my son. ” Jesus and his parents were refugee’s plain and simple !!! All of Jacob’s family were refugees entering Egypt as well to escape the famine. And taxes have nothing to do with the issue of refugees, so I really don’t know why those twitter trolls broght those up. Refugees are supposed to pay taxes to whom again?